Our Gold Coast Medispa combines traditional spa services with aesthetic treatments to provide holistic treatments that relax the mind and rejuvenate the skin. Each beauty therapist on our team is fully qualified to conduct skin analyses. We have experience working with a large range of skin conditions, including acne, eczema, rosacea, psoriasis and dermatitis and can recommend cosmetic and skin care products to suit your skin type and lifestyle. Our medispa is equipped with a range of state of the art equipment and products. We perform microdermabrasion, Radio Frequency (RF) therapy and Intense Pulsed Light (IPL) facial therapy and hair removal. We also perform all traditional spa treatments such as waxing and tinting, as well as facials and massages to reduce tension, stimulate your senses and promote deep relaxation. Our ‘on the go’ treatments are perfect for a quick bit of R&R. These express facials offer all the benefits of a regular facial but are compressed to fit into your schedule. For those who want a more comprehensive experience, then you can’t go past our range of advanced facial treatments. 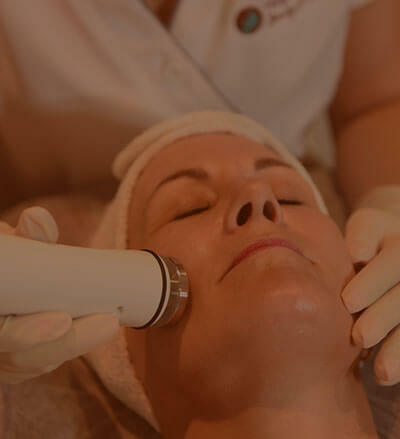 For extensive exfoliation and renewal, we offer high quality microdermabrasion for the face and body. We also offer a range of corrective skin peels and rejuvenation treatments to remedy skin conditions and reverse the signs of aging. For those looking for a more permanent solution to aging, then why not try our protégé elite non-surgical face lift. This state of the art radio frequency treatment tightens and corrects without the need for surgery. We also have a range of body rejuvenation services including laser lipo, cavitation and radio frequency body sculpting. You can even combine various treatments into customized packages to meet your needs, both medically and holistically. To view a list of our current specials and packages, visit our special offers page. To book an appointment with a qualified beauty therapist, contact us today. We can take bookings over the phone and via our online booking system.